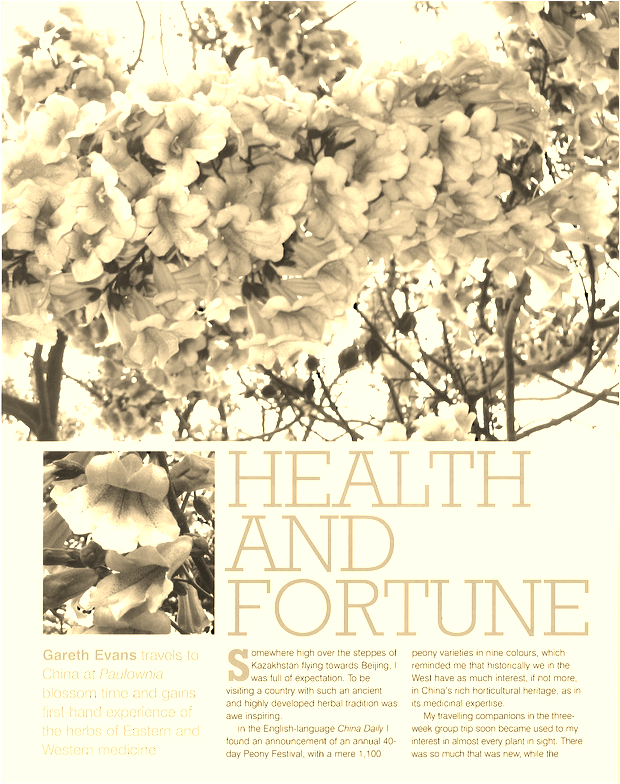 Gareth Evans experienced China's ancient and sophisticated medicinal traditions first hand, as did extraordinary 19th century plant-hunter Robert Fortune in his own time. A personal view of the contrast and interchange between East and West. Herbs vol. 33 no. 2 2008.